Hardware manufacturer GIGABYTE has unveiled and announced new additions to their range of motherboards this week introducing the new GIGABYTE B450 Aorus Motherboard Series of hardware. The new series support the full spectrum of AMD Ryzen processors and are equipped with AMD StoreMI technology as a way to accelerate traditional HDDs to speed levels only found in SSDs. The initial lineup of B450 Aorus Motherboards consists of the B450 Aorus PRO WIFI, the B450 Aorus PRO and the B450 Aorus ELITE using the ATX form factor, B450 Aorus M as the mATX solution and for Mini-ITX, the B450 I Aorus PRO WIFI. The B450 Aorus PRO WIFI and B450 I Aorus PRO WIFI feature blazing fast Intel Dual Band 802.11ac WIFI, the latest generation of a principal commodity for all gaming and media streaming lovers. Despite its compact form factor, the Mini-ITX model steps it up even further with the added benefits of Intel Dual Band 802.11ac Wave 2. 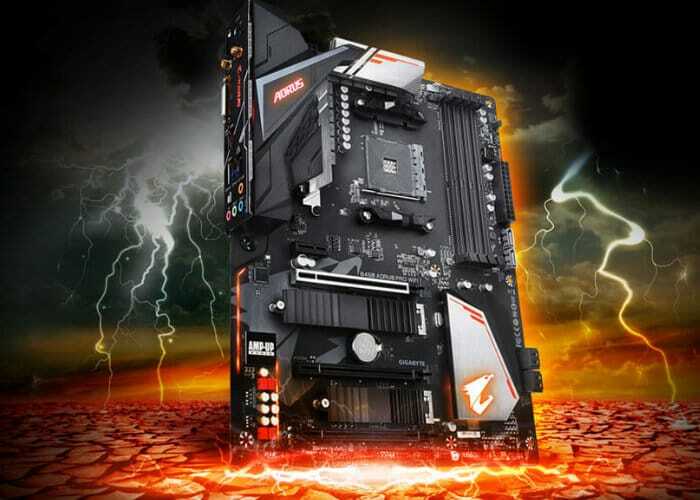 More information on all the new motherboards in the GIGABYTE B450 Aorus Series jump over to the official company website by following the link below.